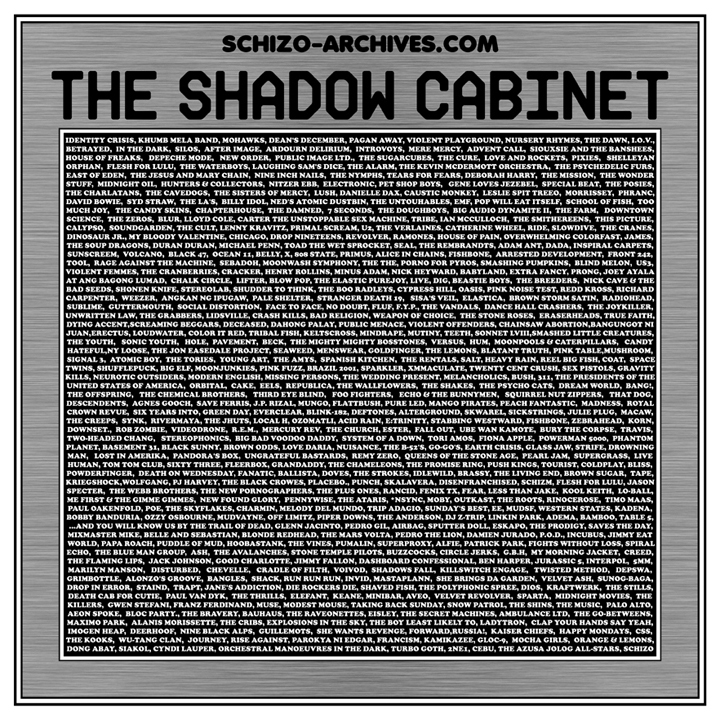 ..: schizo's THE SHADOW CABINET :: 2017v :..
whether they're major concerts, small club gigs or in-store appearances. get the band members' autographs and take pictures with them! ...These are the ultimate souvenirs! Most of these are kept by volumes in my "alternative scrapbook." Now with this web site, I'll be able to share (read: "show off") an "incomplete version" to the Whole Wide World!!! Experience...My Rock & Roll Lifestyle!